Tambours de Martinique taps into the pulse of the French Antilles in this blistering EP of original and remixed versions of rare, drum-centric dance floor workouts. 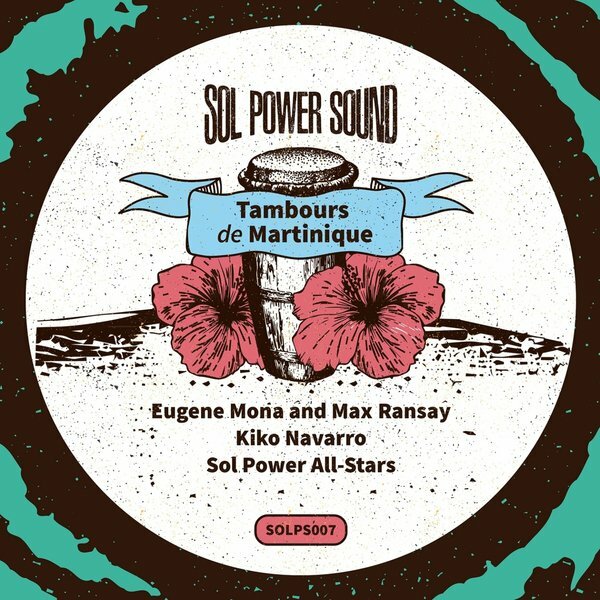 Licensed directly from the legendary Martiniquan label Hibiscus Records, the EP features cuts by Eugène Mona and Max Ransay, two of Martinique’s most storied musicians. 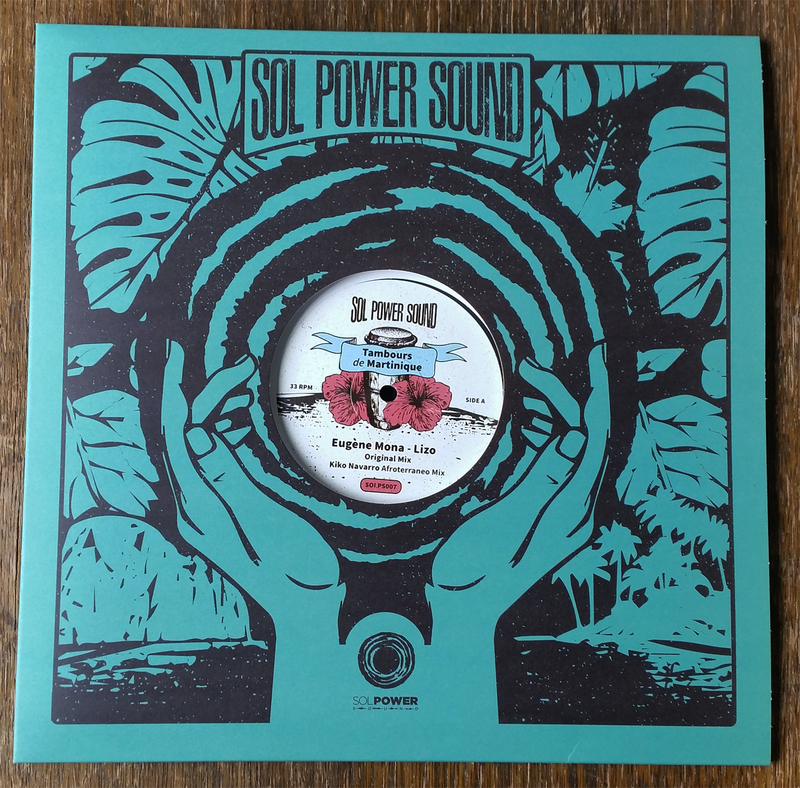 With reworks by Spanish DJ and producer Kiko Navarro and the Sol Power All-Stars, this one will be in the record bags of discerning DJs all summer long. The A side features ‘Lizo’ by Eugène Mona, an essential figure in the folkloric music of Martinique based on the bamboo flute, bèlè drums, and the island’s specific variant of Antillean creole. Lizo was originally released in 1990 on Mona’s Blanc Mangé Blan Manjé? LP and is anchored by frenetic percussion, a driving bassline, and house-evocative key stabs. Mona’s flute kicks off the tune which then jumps right into a call-and response vocal barrage. In the lyrics, Mona warns a local political figure to watch his back because he’s surrounded by an untrustworthy crew. Kiko Navarro’s remix takes an already dynamic cut to deep Afro-space with thumping drums and a bubbling synth-bass groove that will put dancers through their paces. With its powerful combo of urgent brass and ensemble vocals, Max Ransay’s 1988 recording of the traditional Martiniquan folk song ‘Ti Kanno’ fills the B-side. ‘Ti Kanno’ was previously recorded by Ti Émile, Ransay and Mona’s legendary forebear. Full of surprises, Ransay’s version is a sonic melting pot of hand percussion, horns, unexpected synth lines, and bass. The Sol Power All-Stars edit fills out the low-end thump and teases out the groove for maximum impact.